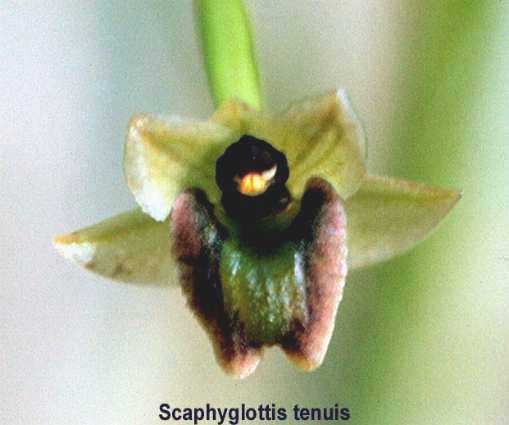 Scaphyglottis tenuis L.O. Williams 1941 Photo courtesy of Dale and Deni Borders. Found in Mexico as a small sized, cool growing epiphyte at elevations of 1100 to 1400 meters in open forest and woodlands in oak trees that blooms on a terminal or at the nodes on stem, racemose inflorescence with several flowers.